Held in conjunction with The 10th International Conference on emerging Networking EXperiments and Technologies. Following the success of previous years, the main conference will be preceded with a one-day Student Workshop. 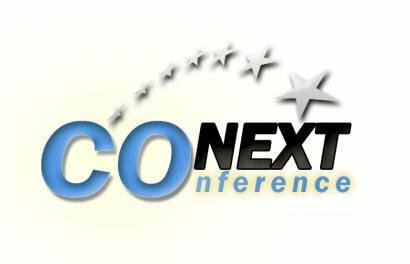 The ACM CoNEXT 2014 Student Workshop aims at providing a platform for graduate students in the area of computer networks and communications to present their ongoing research efforts. The venue also represents a unique opportunity for students to network with other young researchers as well as more experienced ones, receive constructive feedback, guidance, tips, and learn about cutting-edge research problems being tackled by the community. We encourage submissions from graduate students about research at an early stage and for more advanced dissertation-level research. The submission should describe the research in 2 pages and indicate whether this is early-stage (i.e., a Work In Progress submission), or dissertation research (i.e, a PhD Forum submission) for potential presentation at the ACM CoNEXT 2014 Student Workshop. Research that addresses non-standard topics and controversial problems and approaches is of particular interest. Papers are limited to TWO (2) pages plus references only. Note that the two page limit includes ALL figures, tables but does not include references. Please provide only author names and affiliations; it is not necessary to add PAPER ID and number of pages.